1. 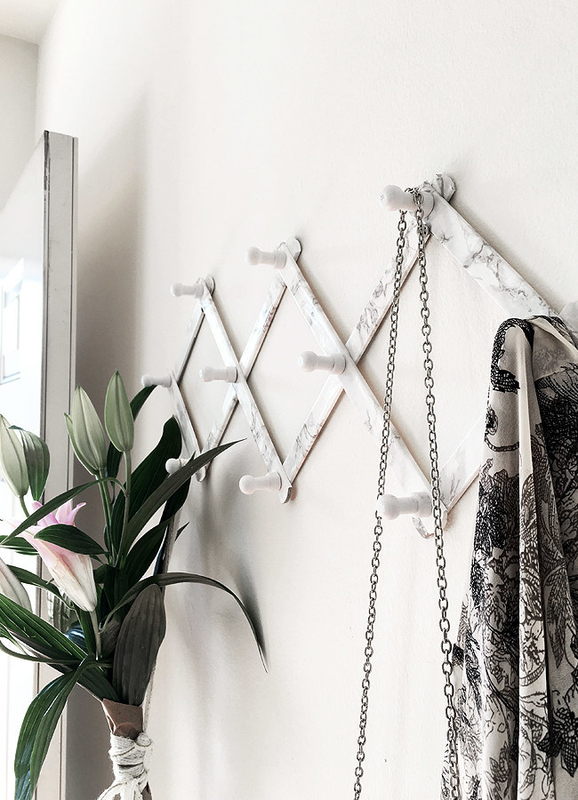 Hang a corkboard if you’re aaaaalways forgetting things. If you have a habit of writing up a whole grocery list and leaving it on the counter, or lose every single set of stamps you’ve ever owned, tack ’em up. A visual reminder is way more effective than a note on your phone. Trust me. 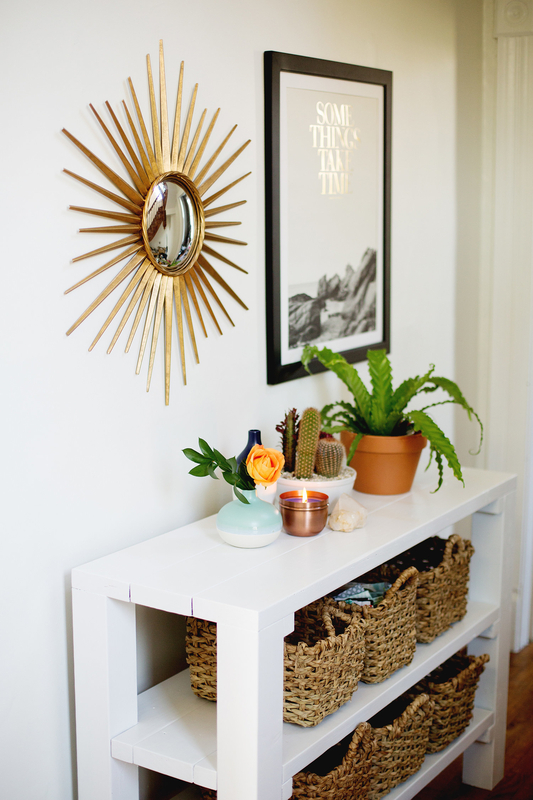 If you’re one of those people who shifts their furniture every other day, a TV tray is perfect for your entryway. It’s got enough room for you to toss your keys and mail on top, and your shoes underneath. Learn more here. It’s been a long day. Take a breath before you need to start scrambling around the house to make dinner and get ready for bed. 4. 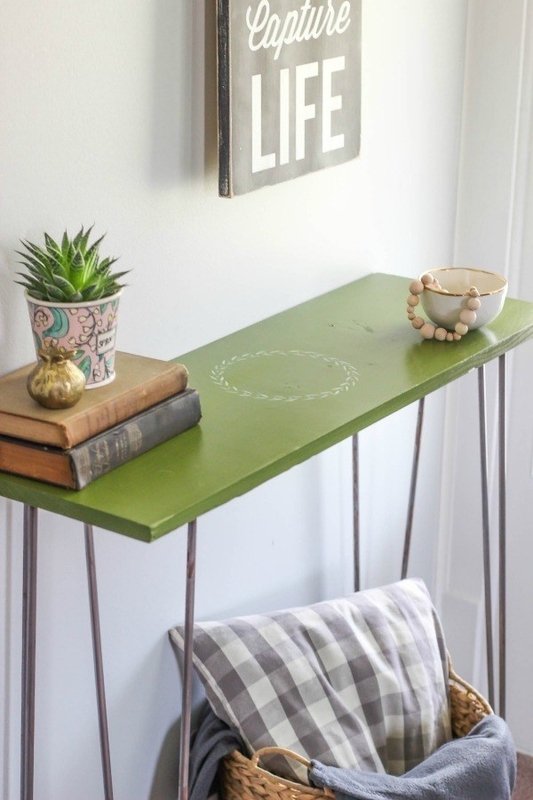 Use a floating shelf if wedging a whole table into your tiny space just isn’t feasible. 5. Hide your stuff inside woven baskets if you’ve got a full house. If you’re not really into the seaside look, switch the shells out for pebbles. 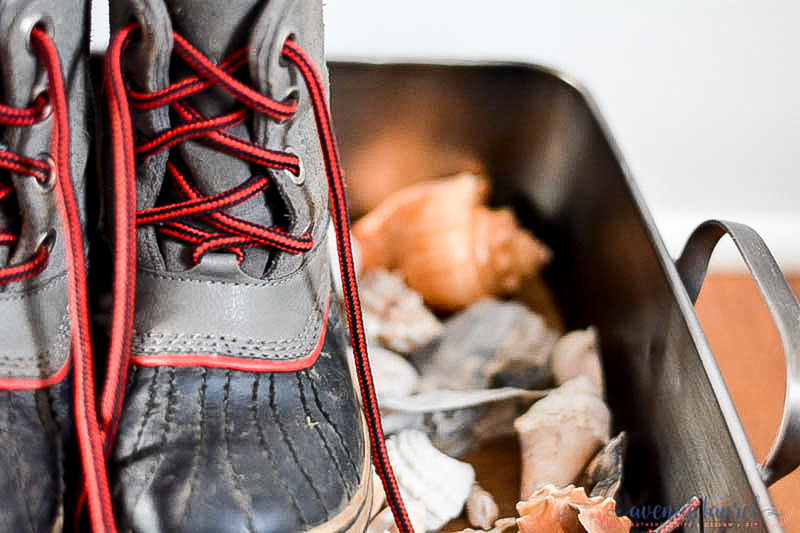 Both will allow the water to drain so the boots aren’t soaking in a puddle of their own making. Learn more here. 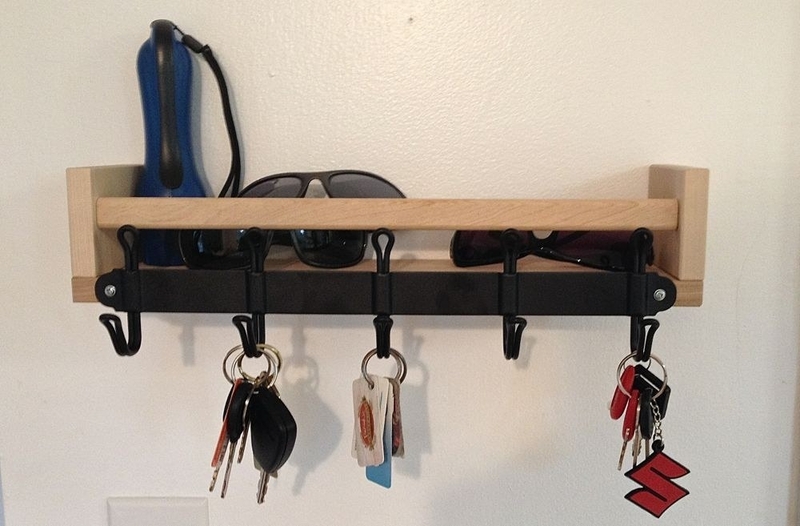 If you like keeping your coat and keys in the bedroom, think of this space as a place for your overflow storage. 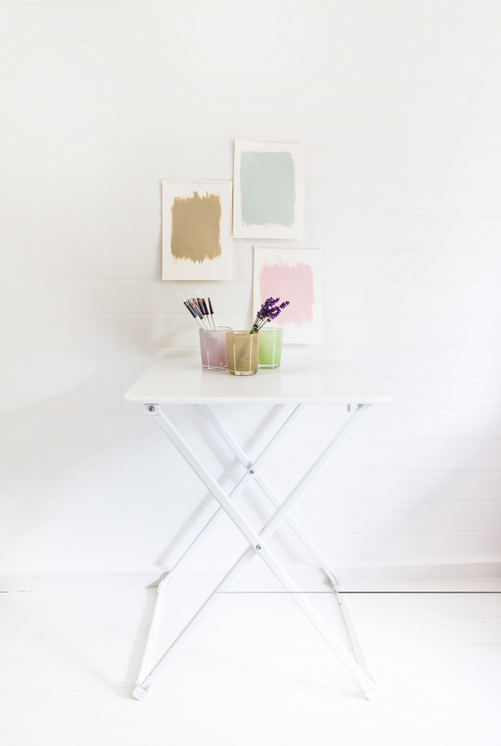 You still want it to look nice so stick to books or memorabilia you can’t bear to part with. Or move an entire set of drawers in there to stow your linens or summer clothing you aren’t going to be needing for a few months! Drill holes in one side of the dowels and twist the screw in using pliers. Then, glue the caps on. Once they’re dry, screw them into the wall! Learn more here. 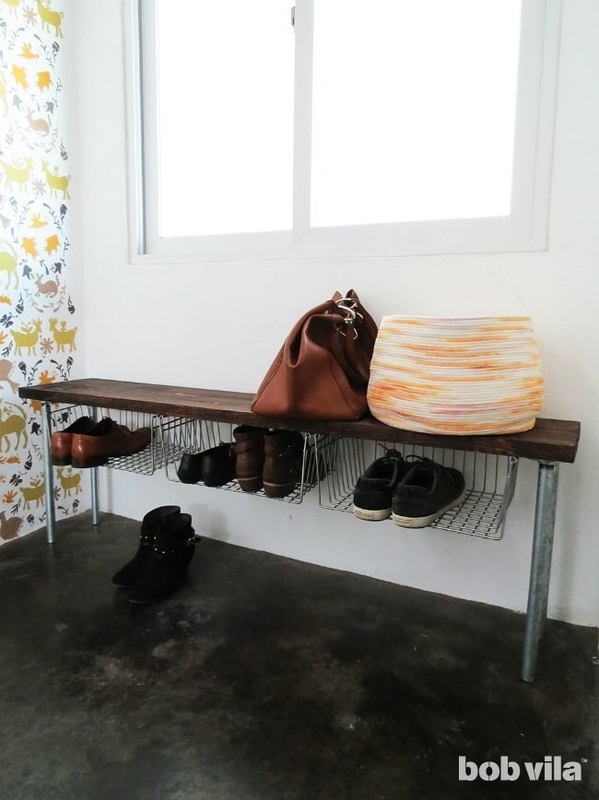 A seat to rest your weary bones, a spot to toss your shoes, and a place to hang your coat. 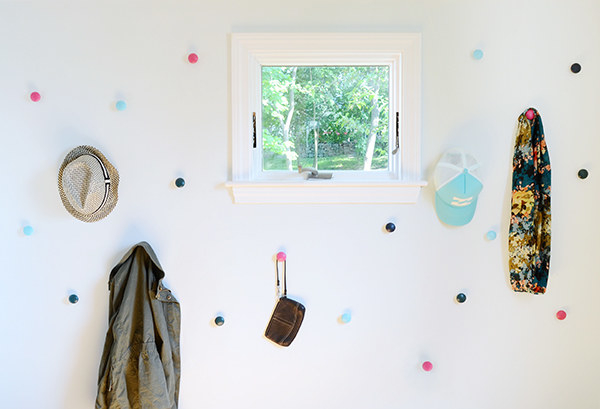 A whole mudroom when you don’t actually have any room. You know those quirky knobs at Anthropologie that are the only thing you can afford but you have literally no use for them? Now’s your chance. Learn more here. It’s literally that easy. Learn more here. 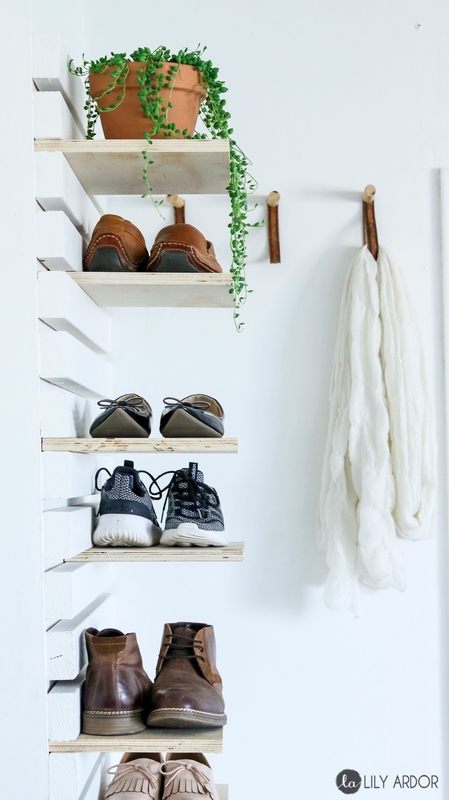 Use a piece of scrap wood to ensure that the shelves fit perfectly between the boards and won’t wiggle. The boards will still be able to slide out whenever you’re in the mood for something new. So. Freakin’. Cool. Learn more here. 17. 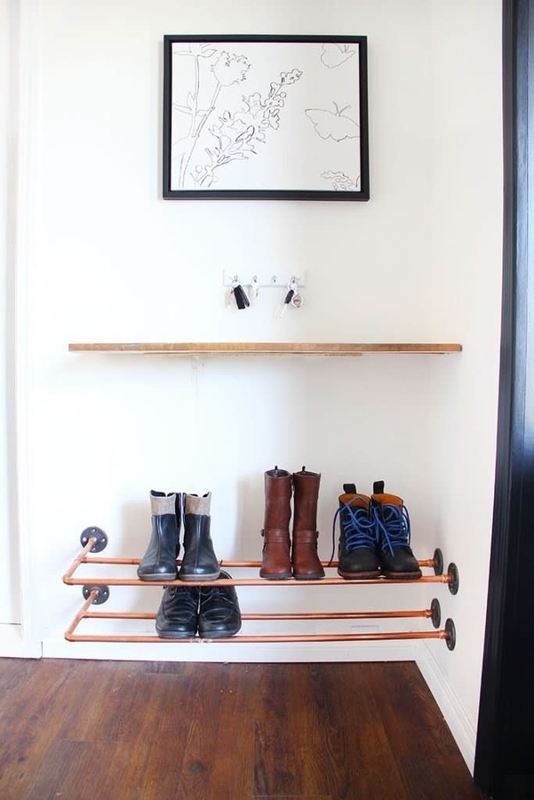 Or just prop up a coat rack — it’s a classic for a reason. 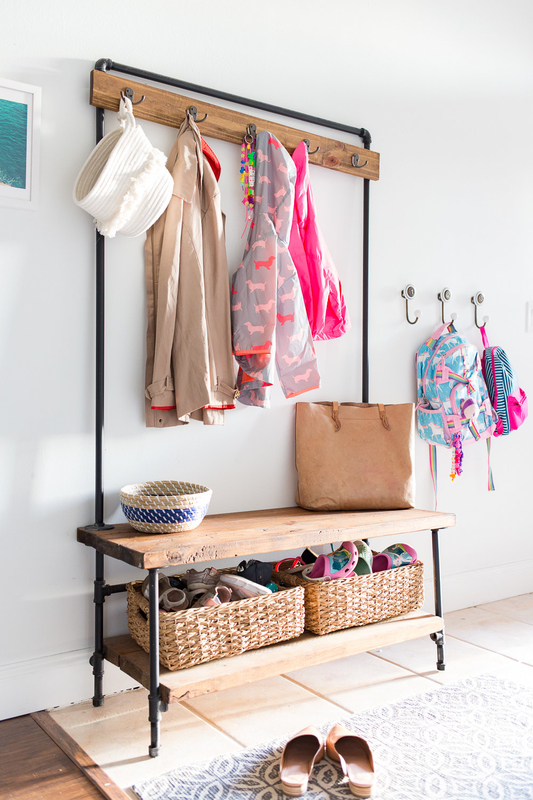 Coat racks hold jackets, umbrellas, purses, hats… It’s literally the most multi-purposed storage item. 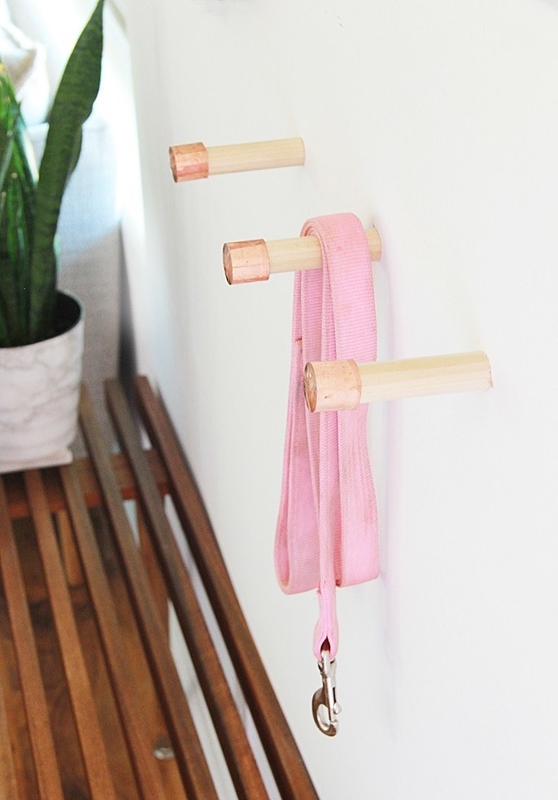 And it’s perfect for renters that don’t want to hang hooks on the wall! Previous story What's Your Go-To Hangover Cure?